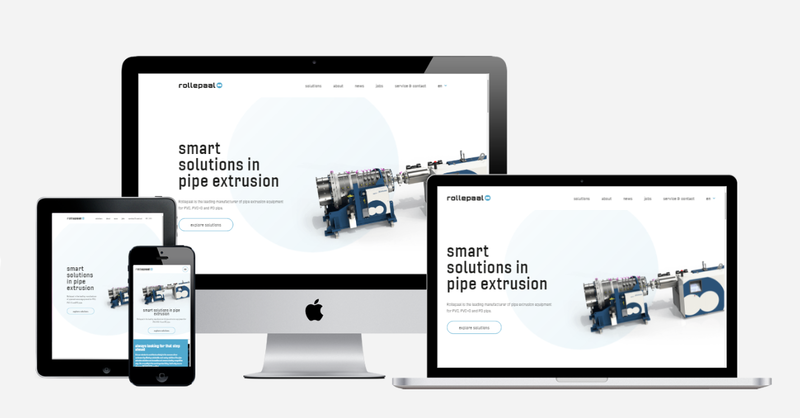 We are proud to present our new Rollepaal website. The release of our brand new website is in line with the recent changes to our corporate identity and the name change of our parent company to RPflow. We wanted our website to represent our innovative character, quality and service. In the next few months our sister companies Hoppmann, Romit and Ramix will also release their brand new websites, followed by a new corporate website for RPflow. RPflow is an internationally active group headquartered in Dedemsvaart, the Netherlands. RPflow consists of companies Rollepaal, Romit, Ramix and Hoppmann. All four companies are specialist companies operating in their own market. Rollepaal is a global supplier of pipe extrusion equipment for PVC, PVC-O and PO pipes. Romit is a full service supplier of components, subassemblies and complete products for customers in different markets. Ramix Injection Moulds delivers first class solutions for premium pipe fittings and pipe related products, and Hoppmann is a leading international supplier of high-quality automation technology.